The Virgin Islands National Park turned 60 this year. 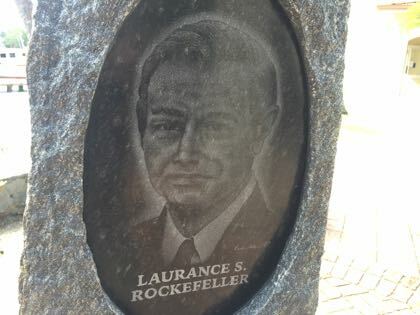 Laurence Rockefeller gets all the credit, but there were actually three men who helped make it happen. Rockefeller, philanthropist Frank Stick and Senator Julius Sprauve. 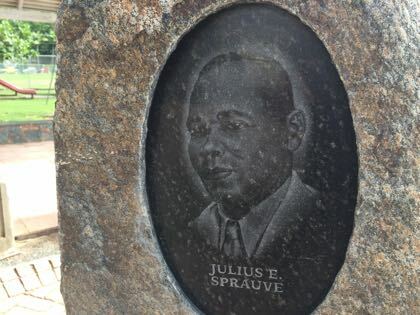 A new monument outside of the VINP visitor’s center across from Mongoose Junction honors them. The Friends of the V.I. National Park helped fund the monument, designer Kate Norfleet conceptualized it, and architect Glen Speer erected it. 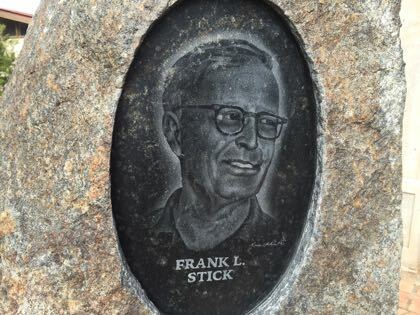 Maryland-based stone sculptor Rick Rothrock created the sculpture itself. 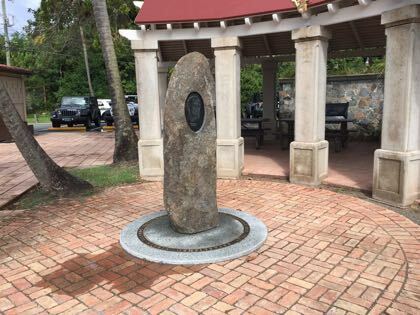 St. John artist Karen Samuel created the original artwork from which the faces of Rockefeller, Sprauve and Stick were copied onto the monument.